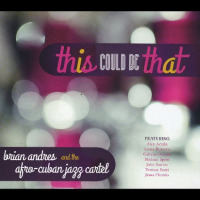 This Could Be That celebrates the first decade of Brian Andres & his Afro-Cuban Jazz Cartel, which came together in 2007 in and around the San Francisco Bay Area's Latin jazz hothouse. Music is sort of the Andres' family business: Brian's father Mike, a professional woodwind player from the Cincinnati area (who appears on this set), introduced his son to the recording studio while Brian was still a child, while Brian's mother sang for chamber and liturgical music ensembles. 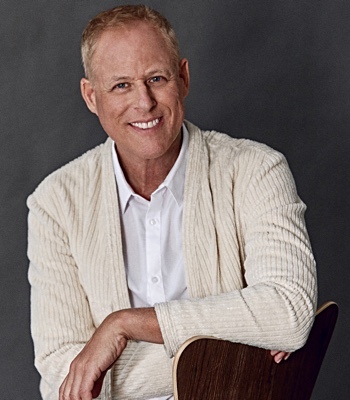 By fourth grade, Brian was playing drums; by high school, he was studying at the Cincinnati Conservatory of Music. But Andres' life changedhis "clave epiphany"the first time he saw the Cleveland salsa band Impacto perform. "I've often likened it to the first time I kissed a girl. I just wanted to do it over and over again. The first time I heard it done well live, it had me," he recalls. The Cartel supplements its third self-produced release with reinforcements from the front lines of Latin jazz such as San Francisco's resident percussion maestro John Santos, Peruvian percussionist Alex Acuña, timbalero Louie Romero (from the Fania All-Stars) and Cuban-American vocalist Venissa Santi. "The first two albums we did had concepts," Andres explains. "On this one, things just happened organically. Everybody wanted to contribute. We ended up with a lot of different things in the record, and there wasn't one single thread." This record may offer "a lot of different things," but they're all connected by the sheer brilliance of the Cartel's glistening sound. It opens with "Amyable," a mambo that Andres' father first recorded with Cincinnati's legendary Blue Wisp Big Band, here whipped into a Latin jazz ensemble frenzy by solos from Tony Peebles' tenor saxophone, Henry Hung's trumpet and (especially) Christian Tumalan's piano. Mexican pianist Tumalan slyly arranges the Chick Corea Electrik Band's incendiary "Got a Match?" to reference Corea's standards "Armando's Rhumba" and "Spain." Tumalan's quicksilver and torrid opening lines truly honor the composer; Peebles' tenor sax solo sounds and feels like pure electricity slicing the entire tune open. 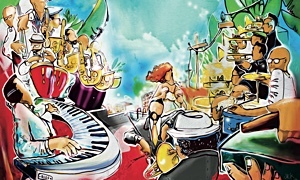 Jam-style arrangements can barely contain the energy of "Roasted to Perfection," heated by brass, congas, bongos and Acuña's timbales; and Daniel Ponce's salsa classic "Bacalaitos," which spotlights Nuyorcian percussionist Louie Romero, trombonist Jamie Dubberly, and (again) pianist Tumalan, who rolls the ivories through his fingers like a crackerjack gambler shooting dice. Another expertly arranged classic, "My One and Only Love" stitches together lengthy instrumental AND vocal verses respectively featuring Andres' father Mike on alto saxophone and Venissa Santi on vocals. Santi's vocal is breathless and poignant, and nicely complements Papa Andres' alto. "It's an honor to have so many world-class musicians on the new album," Andres explains. "That they all were willing to contribute to the recording is a testament to the high quality of music that we've created." 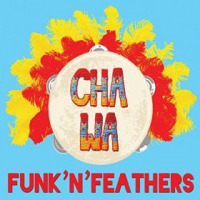 Funk 'n' Feathers may be Cha Wa's debut release, but their music has been around forever. "The music is based on the Mardi Gras Indians, the brass bands, and the street culture of New Orleans," explains drummer Joe Gelini, who co-founded and leads Cha Wa with singer/percussionist Big Chief Irving "Honey" Banister, from the Creole Wild West tribal lineage. Funk 'n' Feathers blasts off like a rocket with "Injuns, Here They Come." Tribal drums and chants detonate seismic New Orleans funk that overwhelms your ears so quickly that they don't know where to turn first: the electric bass line that bounces like a rubber tuba, or Benny Spellman's alto saxophone burning like a flaming spear, the vocal howls and catcalls, or the irresistible second line New Orleans beat. After blastoff, this rocket just doesn't stop. Devon Taylor's electric bass (he doubles on sousaphone) more than cuts through, it completely obliterates the "Upt"-own funk, while sweet soul drips from electric keyboard (Yoshitake "Z2" Tsuji) and guitar (John Fohl, Seizo Shibayama) solos like summer sweat. Taylor and the drummers drive "Shallow Water" into harder funk-rock, while the guitarists munch on sounds from ranging from New Orleans to Black Sabbath. No modern New Orleans album would be complete without a Dr. John tune. Cha Wa picks the title of his 1990 album All on a Mardi Gras Day (Great Southern): A picture perfect snapshot of revelers drinking whiskey and wine all day, fueled by barrelhouse piano boogie into a shuffling New Orleans march that turns you to jelly from your hips to your feet. 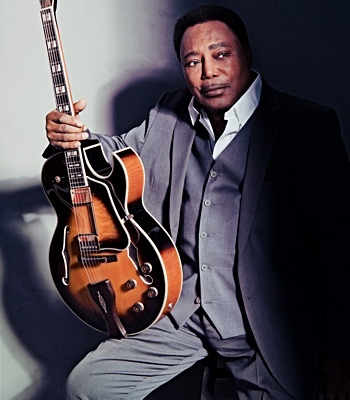 "Jock-A-Mo" (covered by many artists as "Iko Iko") is a genuinely historic track: It features Davell Crawford, grandson of the song's composer, on lead vocals; and Irving Banister Sr., who reprises his role as guitarist on the original 1953 recording. In their sure, electrifying hands, this New Orleans musical landmark sounds anything but old. "Cha Wa" is a slang phrase that every Mardi Gras Indian tribe uses to say, "We're comin' for ya!" Keep Funk 'n' Feathers cranked up, and you'll be rockin' 'till the cops come knockin.' "We're improvising. We're playing, and we can hear each other," Gelini explains. "We just hook up. It's something we're not even thinking about. I think we've reached that point where we can feel the direction of the music intuitively and we just go with it." Clarinet master David Krakauer was born in raised in New York City. 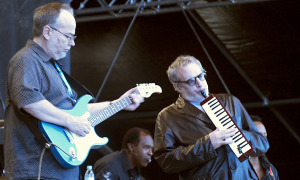 As he spread his considerable chops throughout NYC's classical, electronica and jazz scenes, he became known as a Klezmer specialist but just as often appeared as a soloist or member of various symphony orchestras, string quartets and chamber ensembles alongside a head-shaking variety of artistsItzhak Perlman, Fred Wesley, John Zorn, the Kronos Quartet, Natalie Merchant, the The Klezmatics, and many others. "It's been just over 25 years since I've embarked on a great musical journey in search of my Eastern European Jewish identity. Part of that voyage has been revisiting my 'ancestral homeland' where my Russian/Polish grandparents and great-grandparents had come from at the end of the 19th century," Krakauer reflects in Checkpoint's liner notes. "The musicians in Ancestral Groove have been on this ride with me for a long time now. This new incarnation of my band encapsulates many of the stops I've taken along the way during the past quarter of a century. Together with so many collaborators, I've been through the worlds of klezmer, avant jazz, funk, contemporary classical music and electronica...all in the name of a greater search for a sense of identity." Krakauer's virtuosity on clarinet is obvious, but the best part of Checkpoint is the integrative, pan-global acoustic-electric visionand form-fitted guest contributorswith which he and Ancestral Groove surround it. 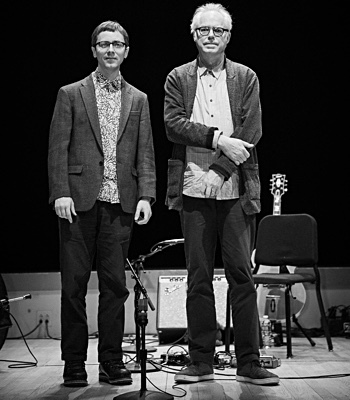 Guest guitarist Marc Ribot turns "Elijah Walks In" into volcanic jazz-rock, carving out then shredding funk chords into flurries of electric notes that wail alongside Krakauer's clarinet like two roaring fire engines racing to the same destination incredibly electrifying, satisfying AND danceable jazz. 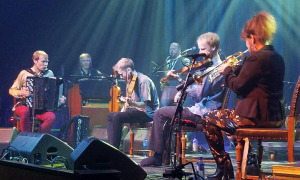 "Tribe Number Thirteen" features organist John Medeski, whose keyboard gooses drummer Michael Sarin into a trip-hop groove; Krakauer's clarinet cuts into this groove as sharp as an alto sax, while Medeski's solos sounds like they flow from deep rivers of funk, first from the mysterious Middle East and then from soulful midtown Memphis. 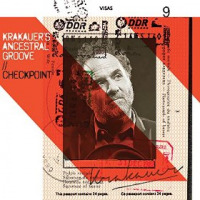 Krakauer shuts down his Checkpoint with two live tracks. "Tandal," a Zorn piece that Krakauer first recorded for Masada Book 2: The Book of Angels Volume 18: Pruflas (Tzadik Records, 2012), erupts from rumbling funk into breakneck improvisatory jazz fueled by the leader's heat-seeking clarinet. 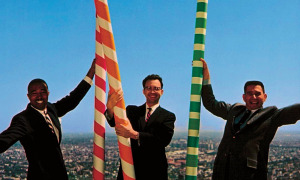 The ensemble reprises the studio track "Tribe Number Thirteen" with a live version recorded in New York City that crackles with all of NYC's energy, diversity and magic. It sounds like jazz while Krakauer's clarinet wails in the forefront, but the rhythm section and guitarist Sheryl Bailey rock it hard and funky through the spaces in between. 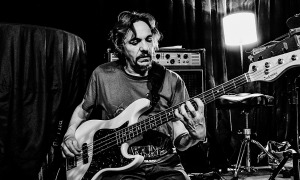 With Checkpoint, Krakauer's Ancestral Groove drive miles into AND miles ahead of traditional and contemporary jazz, Eastern European and Jewish music. In 2012, ten of the most adventurous and accomplished musicians in São Paulo, Brazil, came together, took root and blossomed like a tropical flower. 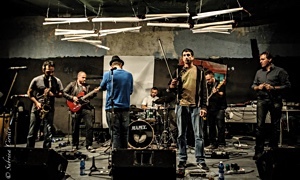 Nomade Orquestra describes their music as "the point where different musical expressions and strands meet and interact in a unique way," a fair way of pointing out that there is no other band, and no other music, like Nomade Orquestra. 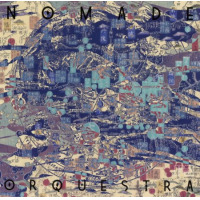 Nomade Orquestra captures so many different instrumental sounds and styles that it challenges any clear description or explanation. 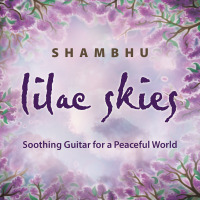 Different tracks, styles, and soloists drift in and out of focus in natural, unforced rhythms, like clouds floating in and out of sunlight. 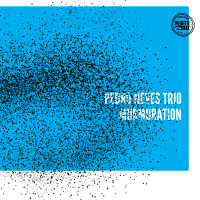 Arrangements generally spotlight the trumpet (Marco Stoppa), marimba (Beto Montag) and guitar (Luiz Galvão) soloists, but these compositions feel very "open," so elastic in time and space that every contributor can shine. These songs paint such clear scenes with so much depth, breadth and color that they sound cinematic. "Morning Birds" opens with an ancient horn sound, as if gathering worshippers and acolytes to greet the dawn; once in full flight, Montag's dancing marimba fences with sharp guitar and organ chords and then joins the closing chorus. "Garuda" also greets the day with fluttering bird flutes and rattling percussion before it grows like a Middle Eastern olive vine upon Luciano Sallun's alaude (oud) and André Calixto's soprano saxophone. Writing about Nomade Orquestra this way can make these songs sound academic but they're really a ton of fun. "Fuego Policia" throws down funk-rock bursting with roundhouse horns, dueling saxophone and trombone solos, keyboard and organ psychedelics, and a tumultuous, percussive backbeat. Six minutes of condensed primal musical fury, electric and hot, "A Vida Vem Em Ondas" shuts this set down with drummer Guilherme Nakata pounding out a boogaloo beat while Stoppa and Galvão respectively unleash trumpet and guitar solos so fast and hot they blister your ears. Henry Mancini composing a trip-hop jazz soundtrack for a contemporary Japanese film may not be great writing, but it's a great illustration of the fact that I've been writing about music for nearly forty years, and writing about Nomade Orquestra has been my biggest challenge. Ever. Words do not justly explain or describe the depth, breadth, scope, and vision of this debut. You simply must experience it for yourself. You'll be very rewarded when you do. Times have surely changed since The U.S. Army Blues was founded in 1942 (as "Pershing's Own," the Army Dance Band) to entertain soldiers and civilians in combat zones during WWII. 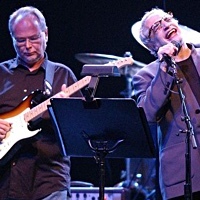 But this Blues band has managed to keep pace, and has performed at the Monterey and Montreux Jazz Festivals and at New York City's hallowed Birdland, sharing these and other stages with Dave Brubeck, James Moody, Dr. Billy Taylor and other jazz greats. 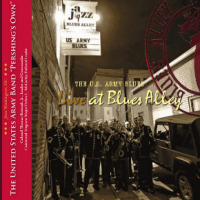 Live at Blues Alley presents one of America's few remaining full-time big bands and the US military's premier jazz ensemble onstage at the historic jazz supper club Blues Alley in Washington, DC. "I can honestly say that you are seeing one of the swingingest bands in America today," said Blues Alley owner Harry Schnipper as they came onstage. Simultaneously honoring DC native Duke Ellington and featuring sixteen different soloists and seven composers from the ensemble, all under the musical direction of Chief Warrant Officer Charles Vollherbst, Live at Blues Alley absolutely proves it. They open with "Main Stem," an Ellington composition that Duke first recorded in 1942 as a 78-RPM single. It swings with all the dexterity of a small band and the power of a large one, with tenor saxophone and trumpet solos buzzing like jitterbugging bumblebees, and clocks in under three minutes. Their lush arrangement of Horace Silver's "Barbara," mined from Silver and Brass (1975, Blue Note), also suggests the Duke's regal musical splendor and quite naturally spotlights thoughtful solo passages from pianist Anthony Walker. 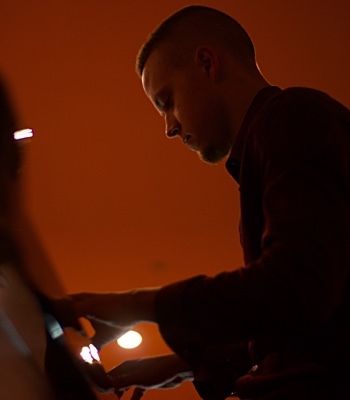 Walker's piano introduces the melancholy "Bayou Farewell" with the sad yet hopeful sound of saying goodbye to someone you love. Live at Blues Alley nicely balances jazz tradition and adventure. Mark Wood's trumpet marches at the head of Tommy Newsom's famous arrangement of Hoagy Carmichael's classic "Stardust," originally written for Doc Severinsen's trumpet and his Tonight Show television band. Bassist SSG Regan J. Brough introduces the Band original "Dance of the Stargazer," driving bop with melodic echoes of "A Night in Tunisia," with lines thick and mysterious, like Charles Mingus lurking in the shadows of its Tunisian night. Drummer MSG Steve Fidyk more than keeps its drive alive, even duking it out with tenor saxophonist SFC Joseph D. Henson in a crackling duet. 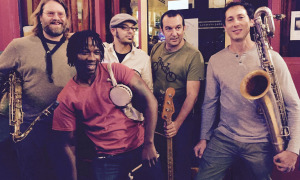 Based on a Nigerian folk song that honors Nigeria's native Ogoni people, the Band original "Ogoniland" showcases how the Band and jazz have become much more global, changing with the times. Massive and deep, it begins like a regal song of state (a national anthem) before the rhythm section set their jazz pots to boiling and the horns begin blowing lusty and hot. The rhythm section seems to especially relish the rhythmic challenges presented by this Nigerian tune, shifting into a smooth, upright bass walking glide that brings "Oginoland" all the way from Africa to Washington, DC, and then leads The U.S. Army Blues back into African polyphony that brings the house down. Live at Blues Alley captures intelligent, articulate and expansive big-band jazz, crackling with hot individual solos that the arrangements further complementmighty music, even more mightily played. For most listeners, Tanbou Toujou Lou: Merengue, Kompa Kreyou, Vodou Jazz & Electric Folklore from Haiti (1960-1981) will capture snapshots from a distant place"the pearl of the Caribbean," Haiti. But for ALL listeners, it will capture snapshots from a distant, sometimes socially and politically turbulent, era. Tanbou Toujou Lou illustrates the different colors of music drawn by Haiti's unique geographic location amongst the rhythmic, melodic, and spiritual connections between the Caribbean and West Africa. Merengue danced in from the Dominican Republic to the east. From the south, Columbia introduced accordion-and guitar-driven cumbia. Cuba, its neighbor to the north (and still a strong economic and cultural ally), contributed mambo, guajira, and Afro-Cuban rhythms to this sweltering musical melting pot. Threads from the Harlem Renaissance also wove their way south into Haiti's sound. From the late 1950s into the early 1970s, many Haitians fled their homeland to escape the repressive rule of François Duvalier, ultimately planting deep Haitian roots in Miami and New York City, especially in and around Brooklyn. Tanbou Toujou Lou is culled from radio archives and private collections from Port-au-Prince to Brooklyn. "I lost count of the homes, basements, and garages I had trawled through, in the depths of winter, in parts of the city detached from public transport. It goes without saying, there's a lot of Haitian vinyl in New York," wrote researcher, curator and producer Vik Sohonie. Sadly, many local archives were destroyed in the earthquake that devastated Haiti in 2010. Psychedelic guitar fringes in "Rapadou" (Rodrigue Milien et Son Groupe Combite Creole) make it clear that the impact of Jimi Hendrix's experiments with the "electric" part of "electric guitar" were truly heard all around the world. Electric guitar also cuts sharp and bright to graft together American funk and Caribbean dance rhythms in "Diable La" (Les Shleu Shleu). The party winds down with "Meci Bon Dieu" (Orchestre de la Radio National D'Haiti), an intricate arrangement of male and female vocals, rhythm section, and ensemble and solo horns. 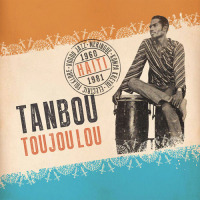 Tanbou Toujou Lou also includes a 20-page booklet with vintage photos from across the Haitian diaspora, and an encyclopedic history of the Haitian sound and its traditional Vodou rhythms. Tracks: Amyable; Esto Puede Ser Eso; Limite; Les Cailloux; Got a Match; My One and Only Love; Bacalaitos; Roasted to Perfection; Banderas Rojas; Relativity; Algo Nuevecito. Personnel: Alex Acuña: timbales; Brian Andres: drums; Mike Andres: alto saxophone; Braulio Barrera: campana, coro, guiro; Javier Cabanillas: cajon, campana, chekere, claves, congas, coro, quinto; Jamie Dubberly: trombone; Jesus Florido: violin; Aaron Germain: ampeg baby bass, electric bass, bass pan pipes; Jose Roberto Hernadez: coro, guichero; Henry Hung: trumpet; Steffen Kuehn: flugelhorn, trumpet; Hermann Lara: baritone saxophone; Omar Ledezma Jr.: bongos, campana, congas, timbales; Calixto Oviedo: timbales; Tony Peebles; alto saxophone, tenor saxophone; Mike Rinta: trombone; Louie Romero: congas, maracas, timbales; Venissa Santí: vocals; John Santos: pandereta; Derek Smith: drums; Nikki Smith: coro; Michael Spiro: bata; Christian Tumalan: piano. Tracks: Injuns, Here They Come; Ooh Na Nay; Upt; Shallow Water; Jock-A-Mo; Hold 'Em Joe; All on a Mardi Gras Day; Tootie Ma; Li'l Liza Jane; Cha Wa Got Fiya. Personnel: Big Chief Irving "Honey" Banister: lead vocals, tambourine; Spyboy J'Wan Boudreaux: lead vocals, tambourine; Joe Gelini: drums, percussion, background vocals; John Fohl: guitar, background vocals; Seizo Shibayama: guitar; Stephen Malinowski: organ; Yoshitake "Z2" Tsuji: acoustic piano, Rhodes piano; Devon Taylor: sousaphone, bass; Norwood "Geechie" Johnson: background vocals; David Crawford: lead vocals; Irving Banister Sr.: rhythm guitar; Colin Lake: lap steel, vocals; Ben Ellman: alto saxophone; Haruka Kikuchi: trombone. Tracks: Kickin' It For You; Krakowsky Boulevard; Tribe Number Thirteen; Checkpoint Lounge; Elijah Walks In; Moldavian Voyage; Synagogue Wail; Border Town Pinball Machine; Tandal; Tribe Number Thirteen. 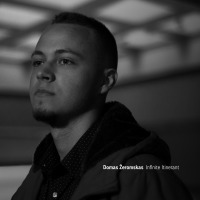 Personnel: David Krakauer: clarinet; Sheryl Bailey: electric guitar; Jerome Harris: electric bass; Michael Sarin: drums; Jeremy "Keepalive" Flower: sampler; Rob Curto: accordion; John Medeski: organ; Marc Ribot: electric guitar. Tracks: Samurai; Sonhos de Toquio; Bedum; Humaitá; Morning Birds; Vênus; Garuda; Doce Agonia; Dragão Do Mar; Fuego Policia; Radio ABC; A Ultima Que Morre; A Vida Vem Em Ondas. Personnel: Guilherme Nakata: drums; Ruy Rascassi: double bass; Marcos Mauricio: keyboards; Beto Malfatti: alto saxophone, flute, pick-ups; Marco Stoppa: trumpet, flute; Bio Bonato: baritone saxophone, flute; Luiz Galvão: guitar; Fabio Prior: percussion; Victor Fão: trombone, flute; André Calixto: tenor saxopohne, soprano saxophone, flute; Luciano Sallun: alaude (oud); Beto Montag: marimba. 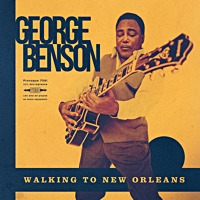 Tracks: Introduction; Main Stem; Dance of the Stargazer; Not on the Bus; Stardust; Ogoniland; Bayou Farewell; Kelli's Number; Barbara; BugaBlue; Walk That Dog. Personnel: CW5 Charles H. Vollherbst: director; SSG Antonio Orta: saxophone; SSG William E. Linney: saxophone; SFC Joseph D. Henson: saxophone; MSG John W. Desalme: saxophone; MSG David T. Brown: saxophone; SFC Liesl M. Whitaker: trumpet; SFC Mark A. Wood: trumpet; SFC Graham E. Breedlove: trumpet; SGM Craig C. Fraedrich: trumpet; MSG Kenneth R. Rittenhouse: trumpet; MSG Matthew F. Niess: trombone; MSG William L. Holmes: trombone; SSG Victor Barranco: trombone; SFC Jeffrey J. Cortzzo: trombone; SGM Anthony M. Walker: piano; MSG James F. Roberts: guitar; SSG Regan J. Brough: bass; MSG Steve Fidyk: drums. Tracks: Lagen (Zotobré); Francine (Les Gypsies de Petionville); Bebe Showman (Les Loups Noirs); Gislene (Tabou Combo); La Vie Vieux Negre (Coupe Cloue et Trio Select); Rapadou (Rodrigue Milien et Son Groupe Combite Creole); Pele Rien (Les Loups Noirs); Erzulie Oh! (Super Jazz de Jeunes); Haiti Cumbia (Neymour Jean Baptiste); Prend Courage (Ensemble Webert Sicot); Lonin (Super Jazz de Jeunes); Tripotage (Ensemble Etoile du Soir); Lola (Chanel 10); Madeline (Super Choucoune 70); Samba Pachas No. 2 (Les Pachas du Canape Vert); Souffrance (Ibo Combo); Diable La (Les Shleu Shleu); Epoque Chaleur (Shupa Shupa); Meci Bon Dieu (Orchestre de la Radio National D'Haiti). Personnel: Zotobré (Lagen); Les Gypsies de Petionville (Francine); Les Loups Noirs (Bebe Showman); Tabou Combo (Gislene); Coupe Cloue et Trio Select (La Vie Vieux Negre); Rodrigue Milien et Son Groupe Combite Creole (Rapadou); Les Loups Noirs (Pele Rien); Super Jazz de Jeunes (Erzulie Oh! 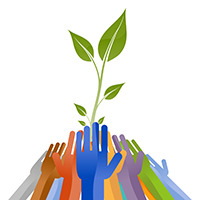 ); Neymour Jean Baptiste (Haiti Cumbia); Ensemble Webert Sicot (Prend Courage); Super Jazz de Jeunes (Lonin); Ensemble Etoile du Soir (Tripotage); Chanel 10 (Lola); Super Choucoune 70 (Madeline); Les Pachas du Canape Vert (Samba Pachas No. 2); Ibo Combo (Souffrance); Les Shleu Shleu (Diable La); Shupa Shupa (Epoque Chaleur); Orchestre de la Radio National D'Haiti (Meci Bon Dieu).